Is Lottery Dominator Scam? Read 63 Reviews! 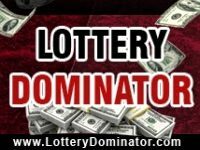 Lottery Dominator is an e-book that claims it will provide the information to help make you a lottery winner. Lottery Dominator Exposed — Richard Lustig’s System a Scam? Opening up the site LotteryDominator.com, in your face is a countdown clock that claims the video offered will disappear forever in a specific period of time. It says “this video is very controversial and may be offensive to some audiences. Viewer discretion is advised”. As we watched the clock continue to countdown, we wondered what could possibly be so controversial about a lottery software and more importantly, what is this? We started moving around the site to find more information But – yes the but – when the download window started popping up, no one would go back click the play button. Let me explain. As you sit on their site, a window keeps opening that is an auto download. This seems to continue at a regular rate as long as you’re on their site. That is until you go to the ‘getting started page’ and then it stops. The problem is the getting started page is simply the order form for the e-book. That’s where we finally found out that LotteryDominator.com is a digital e-book. Its tag line of “winning has never been this simple” is all the information offered. Oh, and the fact there is 60 day no questions asked money back guarantee. One of the good things about getting to this page is the annoying download box stopped popping up. That’s where you find out the e-book costs $147.00 (guessing that is US dollars). I couldn’t figure out who would purchase this as there is no information on what it is supposed to do. There is only a bunch of claims on what the guy has won. There is no information on what this e-digital book does or what it offers. There are a bunch of articles with claims by Richard Lustig on what he has won and spent his money on. Plus, there are also heaps of info on his book has helped so many other people. There are bits and pieces on tips, but no real info on what his book offers – except it will help you win. Lottery Dominator has a very limited terms and conditions that seem more aimed at ensuring the ownership of any information on this site. We had a particular chuckle with the claim that “if you print off, copy or download any part of our site in breach of these terms” you’ve got to stop immediately. Lottery Dominator is owned by Software Projects Inc., a company with a snail mail address out of Malta and a North American toll free number. It offers an email address and online form, but that’s it. What makes this even stranger is in their terms and conditions, Lottery Dominator sites the Computer Misuse Act 1990 which is from the UK. This e-book was written by Richard Lustig. Should You Click Download at Lottery Dominator? I don’t think we’ve ever read so many different comments posted on different sites on this Richard Lustig guy and his Lottery Dominator e-book – and most of it was not good. The auto download factor of an “embed.wistia.com” delivery of something onto my computer was enough to put the team off. Final verdict: 1 out of 10 stars. The system has already been reported years ago as a scam, meaning it works nowhere near as good as this Richard Lustig guy claims, it’s a way he makes money from you. He most likely does not even use his own system, some people just get lucky, that just the way it goes. There are much better real systems you can use that will better your odds to win for real. Just by reading the reviews on people who purchased his product he is a lier. And by the way if he is so wealthy now why is he scamming people out of there money? It should be free to anyone wanting to try it. I think Lustig knows exactly how to greatly increase chances of winning the lotto, hence his well-publicized seven wins. I don’t think he would state his actual methods in any book though. He is a statistician who spent years studying the lotto and discovered secrets that probably don’t make sense to anyone who is not a trained statistician themself. He used his wins as proof that he’s legit, so people will trust him and buy the book that doesn’t include a single one of the algorithms he really used in obtaining all those wins. Unfortunately, this guy has nothing better to do with his time than to scam people out of money. Don’t be stupid! Don’t send him a penny. You would be better off to take the $97.00 and buy your own scratch off tickets. This is a total scam. A neighbor of mine bought the e-book and it’s nothing but crap… no formula. I found an app called Jo’s Picks that I’ve actually won some money with (so far), so I’m sticking to that. This other “lotto Dominator” thing is nonsense, but it’s still interesting that the guy won 7 times apparently. So this sounds loosely based on an article I read about a Canadian MIT grad who was working in oil (making a great living already) who figured out some correlation with colored dots on winning scratch tickets – problem was, he had to find some person or place who would buy back all the other tickets he had to buy to get the ones with the right colors… that lead to another article about some by-gone lotteries that had increased odds of winning when there were no major winners after a while and it was nearly time for the money to go back to the state… But there are entire companies that exist solely to play the lotto – they do it full-time and they DON’T sell formulas or crap like that. I’m a statistician myself and believe me, I’ve ran full-factored ANOVAs on decades of winning numbers and they are mostly completely random and all are so close it wouldn’t matter anyway… I remember when I was a kid seeing some dude who won once having some coffee can/ping-pong ball contraption but, lol, reliable? definitely not… enjoy the lotto suckers! I’ll make money the old fashioned way by earning it. Try to get your money back, or credited back? What a joke. You have to go to your bank and get it stopped – which lotto dominator will tie up your purchasing power from ‘buy goods’ which is the 3rd party they use. This whole thing is a rip off and I feel so stupid! Don’t do it. I almost bought the book good thing I read the reviews. Thank you people, you saved me some money. He was in a lot of TV shows that’s why I kinda believed him. All well, just got to take chances with the lottery and see if I can win just a little. Good luck to all, Irene. Thanks, people I won’t be buying this even though I almost did. What brought me back to earth was the question ‘isn’t a lotto pure chance and aren’t the numbers pure random?’ I saw the figures for the possible chances of winning the lotto and they line up in the trillions. Buy a lotto ticket in a system designed to provide money for the less fortunate and that is the way of truly giving. You know what you may even win something too! Bought Lotto Dominator this morning. It’s basically nothing but same stuff seen in his video. No formulas, only advice and pep talk. I’m asking for my money back today. Hope they won’t give me a hard time. What is wrong with these people. No conscious in them? Just paid a ton of cash on Lottery Dominator & Processor, etc.. and a bunch of other useless stuff they charged me for, and quickly finding out I have made a terrible, terrible mistake. Just wondering if you had any luck getting your money back? And if so, how you did it? Lotto Dominator is a complete SCAM, my advice is to stay well clear of it. Plenty of outlay using the above so called systems with very little reward. I was easily conned, but advise people who want to give it a DON’T, you will waste your money. I almost fell for this Richard Lusting SCAM. LOTTO DENOMINATOR is now called Auto-lotto Processor. Different names same Story. This pathetic old man had nothing better to do than to steal from the American public or anyone else in the world that will pay for this ridiculous scam. Richard lusting you are a POS. Giving back means just that. GIVE. I actually began to think how nice it would be to win some cash courtesy of my insanely expensive state (CT). I tried it fully. Doesn’t work. I spent $650, using his Auto Lotto Processor. Played all the games, followed advice he personally emailed me – after I asked questions. I LOST. Out of the $650 – I won $85. The Lottery is a Guessing game and that man who ever he is full of bunk I mean first its $97 and then $147, he needs to get out of town with his scamming, I got ice I’m getting ready to sell in Alaska,I mean for real I feel sorry for all those people who bought his book. How does he sleep at night. Right at the beginning when he says I couldn’t believe I was being held up by the store owner with a gun because it was his umpteenth time he won. Really? The place that sells the winning ticket gets a percentage for doing that. Yeah, right! They were pissed you won them money in the process? I joined in early May 17’ & it is now Nov 17’ & I haven’t won a cent/dime from his numbers in the 5-7 different games I play every week…sad to say it’s a SCAM! Absolutely, if this 7 time lottery winner wanted so badly to help others then why wouldn’t he give those 200 copies for FREE? He can clearly afford to. Also if you look on Amazon, you can get it for $0.99 (Kindle version) and up. So why pay $97 to $147! 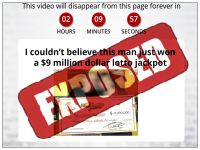 I saw a ridiculous clickbait “news headline” about a 7-time lottery winner and wanted to see what scam was actually being sold to the idiots who click the ad. Honestly, how can people be this dumb? Scroll to the bottom of the home page where it says everything on the page is made up! It’s fake and it even told you so! If you can’t recognize clickbait scams you should have your internet privileges taken away. Have you never heard the expression “if it sounds too good to be true, it probably is”? It’s a bunch of balls bouncing around randomly…do you think the balls conspire to come out a different way than they did last week, or the week before? Because that’s what you’re saying when you expect there to be a pattern of any kind. I gave this product 2 stars because it at least teaches the people who fell for the scam an important life lesson for a reasonably small amount of money: don’t put your faith in the snake oil salesman. I was gonna buy it, but I think I’ll figure things out on my own. I’m pretty good at math anyway and if what everyone in here says is true, I’m not going to spend the $97 to get this ebook that only gets you to a place where you have a monthly fee. I’m not going to take money out of my children’s mouths, and I have 5. It would just be too much! I’m poor so why not give away? Things hay actually work charge so much for it for the first 14-30 days the charge for it later. They also let u send it back for a full refund. I think this is a scam as well. I read 5 pages of comments and only saw one 5 star rating, but I think he may have been joking anyway. Other than that guy, it’s all been 1 star ratings. Bought his book and returned it when it became obvious that what he was actually selling was a monthly subscription to some software he had created. The book is crap, there is nothing in it to help you win anything! This lucky guy really wants to share some of his fortune with the community by charging $97 for useless crap. Can’t believe that Flippboard actually puts this junk on their website disguising it as news. DON’T PURCHASE! I listened to this SCAM video up to the part Richard says he’s been on Ripley’s Believe It or Not. After that I looked up Lotto Dominator and here it is LOTTO EXPOSED states SCAM. His presentation is pathetic and voice isn’t convincing. Those are keys to selling and he doesn’t have it in him. There isn’t any true way to win, it’s luck of the draw. Don’t buy it. Common sense is anything with a 1 one star rating will not be sold in my home. DON’T BUY IT! I was so excited to buy this book. It’s $97, I checked the balance of my account, I have $99. So, I was getting my card ready, but something told me to do research. I’m glad I did, I just read Denise’s message dated 9/10/2017 3:42am. He wrote he has “63” copies available. When I was watching the video, he said he has “62”. It’s been almost a month and he only sold 1 copy?? That tells me no one is rushing to get robbed. He gets rich by selling people a bunch of useless crap, here is my free lottery advice, look at past winning numbers from the past 100 draws, look for numbers that hit with one another a lot, use them n pick some of your own numbers along with them, hope y’all win big, save your money n don’t buy this guy’s horse pucky, he doesn’t have to play anymore because he greasing people out of money selling this BS, I returned the book n still haven’t got my money back prolly never will now. I did not actually purchase the Lottery Dominator. I got very lucky in that when I was attempting to put my card number into the form the numbers kept somehow reversing? I tried several times but no luck. I could have scanned the card, but this made me very uncomfortable, so I decided to be poor the rest of my life. After reading the reviews I am glad I didn’t make the purchase. I don’t know what you haters and unlucky people are talking about! I paid the money for the dominator and within 2 months I’ve won 27 dollars and got a pretty little cashiers phone number! Pffftttt! Sign me up for 2! Ballin’! Looking forward to next weeks winnings! Might be able to buy those new sunglasses I’ve been wanting down at the family dollar! Thanks Richard! I can’t believe no one called him out on this…..
What gave it away for me was within the first minute of the “video”, he states “I found out because he was moving into his new mansion and i had an old pickup truck so i could help him move”….. This is just another Europe Scam that you won’t get your money back from. People that win the lottery and want to give back to the community don’t charge $147.00 Euro. They will charge $9.99 to help pay for the processing FUNNEL SYSTEM, the order uses to process a order. I watched this video. What a scam. Just another method to keep Mr Lustig wealthy and not have to work for his money. I agree with another commentator that if he really wanted to give back, he’d give those 200 copies for free. I did notice the Lotto Dominator can also be bought on Amazon. There you have it……. full blown SCAM. I agree! I haven’t tried the Lotto Dominator b’coz I think it’s a SCAM…I feel like he’s one of those financial advisor that knows where to put his money as an investment without working. I haven’t met a single business owner who truthfully confess of how much are their monthly / yearly earning. Knowing that if they reveal how much they truly makes will only make people around envy of them. Color me confused. If this guy is so good at winning money, has everything his heart desires, can even give back to the community, then why charge people at all? And he’s specifically targeting people who have very little to begin with. It’s horrifying! If you know a little bit about this kind of marketing, you will see that he learned a lot on how to make people buy useless stuff on internet – not just how to win lottery. It triggers a lot of emotions into people that make them more encline to buy the product. Putting your family in a secure place, out of the need is a major one. Helping others is another one. Dreamy visions of what could be your life afterward is appealing. My husband and myself are making pretty decent salaries, we are considered as gifted. Anyhow, any extra would be beneficial when it comes to College tuitions and vacations. When you won so much money at the lottery and then say to people that you have to give it back somehow; then asking them money for your tricks and not saying the truth about how many copies are available (When you know it is not possibly true). Don’t fall for too good to be true scams and keep your hard earned money for having a real good time with your loved ones. I agree, what a scam. Mr. Lustig mentions most important thing is to help others once you start winning. He also stated to beware of scams or those popping out of nowhere to take advantage. What you don’t realize until the end of a very long winded dull tutorial is that he is such a person. Claiming rags to riches is guaranteed, just look at him. The only thing he is good at is the old time art of scamming. I watched the video, and I agree with everybody else, this thing is a scam. “Only 63 books left!”, the countdown clock, etc, all red flags. Don’t waste your money on this junk. You know this is very sad, to be taken advantage of, when ppl want so much to believe in a system that cld help them. “Only 63 copies left and can only sell 200 copies.” “Video up for only one day” Yet he’s been getting thanks from many people for the “last 6 months” who have used his method. This video has been around for quite sometime. Sales of this book have been happening for quite some time. Not only for just one day. Many more clues than 200 have been sold. I was sucked into signing up, paid my dues, they sent me the ‘official’ looking BS. I was not able to log in, invalid email/password. I was hoping this would be a software or actual formula but it’s not. You get a few techniques for improving your odds. The techniques are time consuming. The good things about the system is you do get 60 day refund and additional tips from Richard sent to your inbox. He is good at answering your personal lottery technique questions. The site offered a program called “auto lotto processor” for 127 a month. I can’t afford that. Total scam. The website says it’s only available to the first 200 customers before the web page is taken down forever, BUT, a quick Whois search reveals that the domain name has been registered since 2010. It would only take 5 minutes to obtain 200 customers on the web if this were true. First of all: “too many people can’t find out about this” lol, it’s online so EVERYONE can see it. Second: if he’s so rich, why is he charging so much? Especially if he wants to “give back”. I agree with you, only scammers charge so much money. I was thinking about getting it, but thank goodness I read about the reviews first. Now that’s a good question about him giving back. Thank you for your comment. It definitely helps me not to spend my money on this scam. Seeing Joe Vitale promote this was surprising, and disheartening. I’ve read many reviews, and it sure seems questionable: especially with all the ambiguity that the numerous promotions (by various individuals and sites), are regurgitating. I’m not wasting my money on this, but much success to you if you do. Hey Joe Vitale: what’s up with you promoting this? I gave this system a decent chance, but most of the info they offer in their ‘classes’ is all stuff you can read for free online. The Auto Lotto Processor throws wild. I’ve had a few good results with it on smaller and state games, but nothing ever came close with the multi-state games. Now Lustig isn’t even updating his classes on the site. Save your money. If this were so true and the man really believes in “giving back”, why would he even charge the first 200 people? Give it to them. If there is some law about selling then charge $1.00. Apparently it has not been selling much or why lower the price, and like I said, why charge at all? He’s wealthy now, according to him, give it to 200 people and REALLY “give back”m I rated it 1 so I could post. Don’t do it a total LIE. This guy blows smoke up your but like no one I’ve ever seen before. It’s all a lie, I tried it the numbers I got didn’t even come close to winning a dollar. I was told by a very smart person to always do my own checking on any “perfect” plans to make money. Online information will always tell you the truth. I do that now and have saved myself much time, money and grief. It didn’t take long to notice the ebook was 3 quarters self adolation and maybe 1 quarter statistical info that I could use. I wouldn’t say it was completely useless, but there was some bugs in the programming of the site that any programmer worth his salt would’ve fixed. The bugs put you in a loop and you end up paying more than once which I had to call immediately to fix. Later i noticed a strange charge to my Visa for 400.00. It had no name, phone number or website so I stopped payment with my bank and changed card numbers. I’m still not sure it was them but it’s all in the same time frame. Lastly, they lead you to believe it’s a one time charge to use the Dominator software online, but I just received an email asking for my new card number because it’s a monthly charge. All in all, you can get the monthly lotto numbers off the state Lotto sites, you don’t need their software to do that, just dump them into an Excel WS with two simple formulas. Theres probably more to their software but I’m not going to pay another monthly fee to find out. I would not waste my money on this if it was 2 dollars. Lol. Scam. And figuring out a technique to the lotto by looking at past numbers is something anyone could already do on their own. Lol. B.S. If you’re as rich as he is why scam people? Why all this effort to make more if you’ve won already numerous times? Weird, scam, no thx. I ordered the lottery Dominator, and now I can’t find it on my smart phone, what happen, I paid by PayPal account, I have not received a receipt maybe it didn’t go through I hope not, after reading all the reviews I am afraid now. I bought the book and I have to agree it doesn’t really give you any great advice. It mainly talks about all of his winnings. It is a waste of money! This guy just got really lucky winning the lotto seven times. Now he’s trying to sell his method which there is none. I purchased the lottery dominator for a one time fee of $97 and then the additional Auto Lotto Processor for $47 which they do not tell you but is a monthly cost. The Lotto dominator is worthless, it’s a PDF that you can download. Once downloaded, along with all the other stuff that can also be downloaded (other PDFs) I asked for a refund which I was promptly given. The Auto Lotto Processor is an online tool that helps you pick numbers based on the system. I tried it for a month and did not come close to breaking even. I won a few little ones like $16. I then asked for a refund for the $47 and cancelled the membership. It was refunded immediately yet I still have full access to the site. It’s really just a way to get help picking numbers that might stand a chance. However I feel that the processor is hard to use and old and needs a serious update. I do not recommend this because in my opinion, playing the lottery is just not a good investment. He says the lottery is not random. LIE it is random. He says he can help you change the odds. LIE the odds NEVER change they are based on a mathematical formula. I repeat in all gambling odds NEVER change. You could throw the dice ten times in a row and get ten sevens in a row, but the odds of throwing another seven are exactly what they were when you first picked up the dice. This guy is a total scam artist. Also, he claims he only sells 200 units. LIE again total bs artist! That’s exactly another point I wanted to make and forgot on my review. Only 200 sold because too many people might find out and shut the lottery down. That’s laughable! AND we’re probably giving our emails out for more spam by leaving these reviews…. It’s all about money! Think ppl! Why does he need to sell it? If he is so successful and sincerely wants to help others, shouldn’t it be free? It sounds like a huge scam to me. Oh, and yah, the time limit is fake, like all of his claims. Please don’t waste your time or your money on this one. Thank goodness did not buy, there are plenty of free lotto tips on YouTube that are probably better than this ebook. It’s “EASY” to figure out how this guy “Richard Lustig” made “ALL” his Millions. “THERE’S ONE BORN EVERYDAY” and in these “Desperate” Times we live in Most of Us will Try just about “Anything” to get ahead! Sad but True! I purchased this and cancelled WELL before my 60 days and was never refunded the money I paid. I tried contacting them and they don’t respond. Did you try the program at all? What was the reason for cancelling? SCAM, SCAM, SCAM…..One of the biggest scams online. Right before purchasing it, they claim that you have more than a 60 day full refund policy. After that 60 day mark they tell you otherwise.